First of all let me tell you that business class upgrades do happen in real life! Even if your hair is a mess and you are wearing jeans and Converse sneakers! And they do serve the food on china in business class. And the sparkling wine in real glasses! Secondly, let me share a few photos from my visit to Switzerland Italy this last weekend. I went to see my Swiss friend Cecilia, who used to live in London before she moved back home a few years ago. She lives in Lugano now, just a few kilometres away from the Italian border and suggested we go on a road trip to the nearby Piemonte region to have some good food and wine. Piemonte is famous for truffles, wine, rice, chocolate, cherries & hazelnuts. Who could say no to a visit!? Not me! So, below you can look at some of that said food, as well as my friend, the birthplace of Nutella, our pension Ada Nada, Paul Auster, some of the beautiful towns and views we saw, a winery, and the best chocolate ice cream ever. Andiamo! What a life you lead! Madagascar AND Italy?! How fun! That ice cream looks unbelievable!! Italy looks lovely through your lens. I want to go! Lucky, lucky you! That looks heavenly! 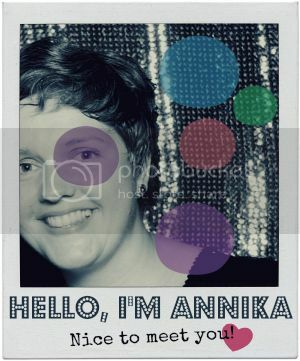 Annika, these pictures are wonderful and you look like you had a wonderful time! What a happy moment! You lucky Jet-setter, Madagascar, Italy and a flight upgrade. You are making me very jealous.